Yesterday, we posted on Alyce Santoro’s repurposed audio cassette tape ties which are constituted at the intersection of the sartorial and the sonic (as well as the visual and the aural). Today, we learned (from the FIT Facebook feed!) about Dr. Elena Bodnar’s sartorial-scientific invention, the bra/gas mask, and a bulletproof hair weave. For these life-saving bras, Bodnar earned an Ig Nobel prize from the scientific humor magazine Annals of Improbable Research. 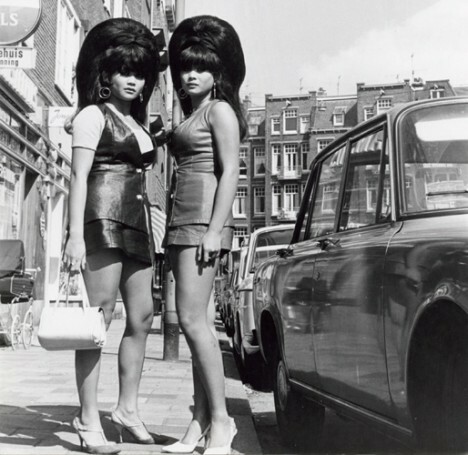 The bulletproof hair weave is an older story but nonetheless relevant to this admittedly silly post. Last February, Briana Bonds of Kansas City, Missouri survived what would have been a fatal gun shot wound from her jilted boyfriend because her hair weave stopped the bullet. See the video below. For The New York Times, Catherine St. Louis notes that “Black Hair [Is] Still Tangled in Politics.” From the article: “’For black women, you’re damned if you do, damned if you don’t,’ said Ingrid Banks, an associate professor of black studies at the University of California at Santa Barbara. ‘If you’ve got straight hair, you’re pegged as selling out. If you don’t straighten your hair,’ she said, ‘you’re seen as not practicing appropriate grooming practices.’ Anyone who thought such preconceptions were outdated would have been reminded otherwise by some negative reactions to the president’s 11-year-old daughter, Malia Obama, who wore her hair in twists while in Rome this summer. Commenters on the conservative blog Free Republic attacked her as unfit to represent America for stepping out unstraightened.” The New York Times also features an interactive gallery of nine African American women discussing their hair, and Jezebel “combs through” the issue. Make Fetch Happen thoughtfully scans the Vogue interview with Beverly Johnson, discussing her experience as Vogue‘s first black cover model. 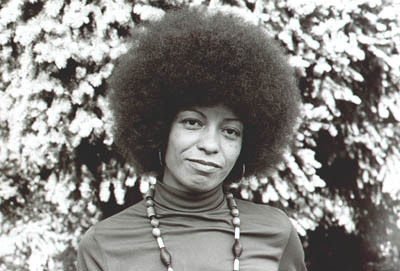 In my fashion course I inevitably assign Kobena Mercer’s “Black Hair/Style Politics,” sometimes with selections from Lisa Jones’s Bulletproof Diva and Ayana Boyd and Lori Tharps’s Hair Story, sometimes with Angela Davis’s “Afro-Images: Politics, Fashion, and Nostalgia,” in which Davis reflects upon her infamous image as a revolutionary on the run, and this image’s recirculation as a stylistic icon, as black power chic, in the decades that follow. There are several independent documentaries about black hair and its politics and practices, but the latest –and with the most advance press and mainstream attention– is Chris Rock’s documentary Good Hair (2009), which opens in select theaters on October 9. Judging from the scenes in the new official trailer, it would be great to screen for the course alongside reading Mercer and Davis on the traffic in criteria for creating, circulating, and challenging stylized signs of blackness.